LOS ANGELES -- Bryan Nesbitt became Buick's top designer in June after spending four years in China, most recently as the head of design for GM China. He's no stranger to the brand -- China is by far Buick's biggest market. Nesbitt has contributed work on several Buicks and also led design at Opel, which increasingly shares models with Buick. Nesbitt, 46, talked to Staff Reporter Mike Colias at last month's auto show here. Q: You've led design for many GM brands but never strayed far from Buick, it seems. A: I was one of the key art directors on the original Enclave, which was kind of the original renaissance vehicle for Buick, especially for the U.S. market. Then I went to Europe and art directed the 2009 Insignia, also sold as the Buick Regal, and then the Astra after that, which is sold as the Excelle GT in China. Talk about the design process for the new LaCrosse. We made a lot of dimensional moves on our new platform. We lowered the occupant down about 30 millimeters, which allowed us to lower the roof. We lengthened the wheelbase. We wanted to do a theme that would meet that promise of that sportier persona and more dynamic experience. The Avenir concept sedan serv-ed as inspiration for the grille? That really foreshadowed where we were going. The real inspiration on the wing-shaped element was the Tri-Five Buicks -- Jay Leno's '55 Roadmaster has that. The '54 Buick Wildcat show car is where the designers first introduced it. With our signature lighting in the headlamps, we wanted more elements that would bring us horizontally around to the body side. In looking in the archives, sure enough, there it was in our own history. In Shanghai, did you see an evolution in consumer preferences? It seems to move about every month (laughs). When I was there, they had just started Shanghai Tower, and they completed it in three years. It's a testament to the pace of that culture. You can see what inspires the designers in that environment. They make a lot of changes. It keeps things very progressive. Seeing the design work from China on Buick, it's very fresh. How are designers in China different than in other places? A lot of our designers don't own a car. They bus to work. So their preconceived notions of solution sets are very refreshing. They don't have the biases of people who've grown up driving cars since they were 15. 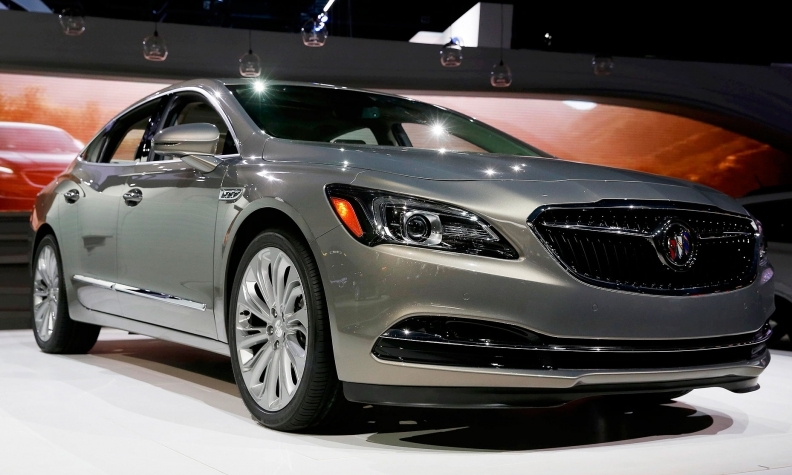 GM calls Buick a regional brand. But from a design perspective, it seems like it has a global DNA. We've got designers sketching Buicks in every single studio in the world, except Brazil. We have connections with our Opel peers, like the Cascada [convertible]. We have a lot of collaboration with China itself because they have such a large portfolio. Korea does a lot of work on our compact SUVs. And Australia ended up theming the Avenir. The Buick-Opel connection means these vehicles are sold in China, North America and Western Europe. Where do you start? We have a validation process where we'll take themes and talk to customers in Western Europe, China and North America, typically the West Coast. We'll sort of marry them together. Everyone wants a good-looking vehicle and the most expressive entry. But then you get that variety, too. I like having Opel's influence, for example, because it's always a very serious road-machine persona because of what's needed for high-speed driving in Western Europe. That variety, I think, helps us to create the best executions.